If you follow us on social media, you’ve probably seen that my family and I just went on a Disney cruise and it was every bit as amazing as I imagined. I’m a huge Disney fanatic as it is. 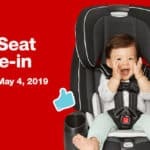 I used to go every year, and that was before I had kids. To put all of that magic on a ship and take it somewhere tropical was incredible, but to see my girls get to experience it was even better! 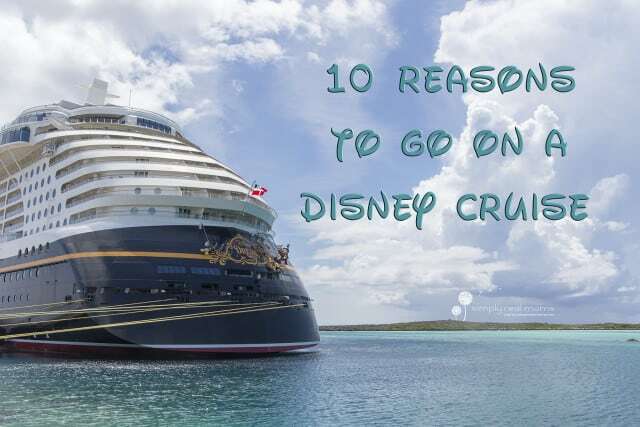 I’ve had the hardest time trying to figure out our favorite parts to share with you, but I’ve managed to narrow it down to my top ten reasons to go on a Disney cruise (in no particular order, because I can’t play favorites with Disney anymore than I can with my children). Our adventure began super early in the morning, when we carried our sleeping babies to the car and answered their questions about where we were going with, “It’s a surprise.” I still don’t think it even clicked for them that we had spent the last few weeks planning an awesome family vacation when we boarded the Disney Cruise Line bus. I scheduled a call from Mickey and Minnie to inform them about the surprise during our transfer, but instead of eyes wide with excitement, we were met with eyes wide with fear. My six year old was terrified about being on that big of a boat in that deep of water, and her fear radiated to her little sister. Luckily, we had 30 minutes to talk about it and watch videos. By the time we reached the port, excitement had replaced the fear. I’m not going to lie, we had to wait longer for our rooms than expected. The corridors were roped off for an extra 5-10 minutes, and we were hot, tired and crabby. When we finally made it to our stateroom after over 9 hours of traveling, all of the negatives were erased. 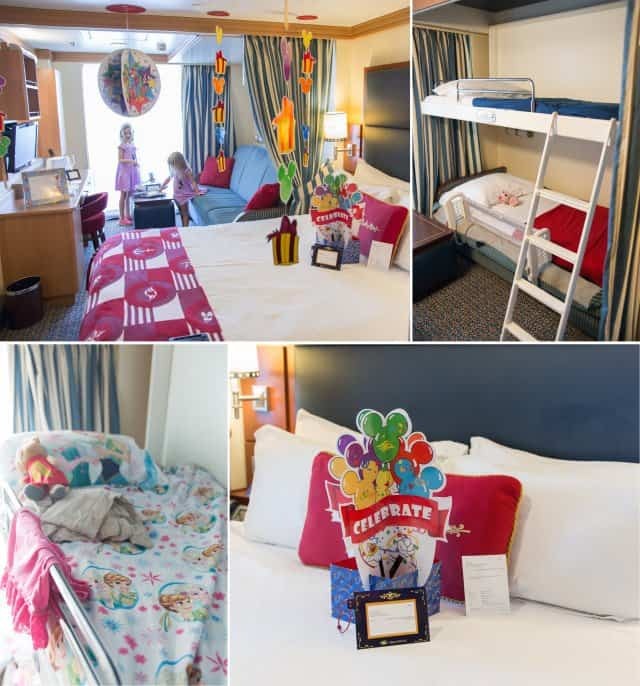 Our stateroom was the size of a hotel room, with a king size bed, plus hidden bunk beds! They surprised us by covering the room in birthday decorations for my oldest who had just turned six, and the surprises didn’t stop there. We had something fun for us every time we came back to our room, including champagne for the adults and princess bed sheets for the girls. We had plenty of closet space for our clothes and room under the bed to put our suitcases. 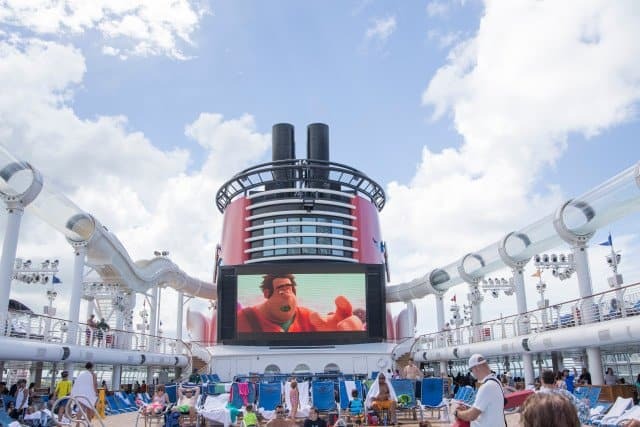 The TV is equipped with dozens of Disney movies on demand, plus there are channels for any kind of cruise information you could want. There are also cell-style phones provided to take around the ship (wave phones). These are used to keep in touch with family, other passengers, or to be alerted if you are needed in the Oceaneer Club (which I will get to in a bit). From the start, I could see that nothing on this ship went overlooked or unthought of. Our room had an amazing balcony that we found ourselves enjoying throughout our time on the cruise. The bathroom was split up into two rooms – one with a tub/shower and sink (and a magnifying mirror! Brilliant! ), and the other with a toilet and a sink. The food. It’s like a 24 hour, all-you-can-eat, parade of food. One of my first stops on the ship was for coffee. I strolled over to Vista Cafe for an iced macchiato, and the delicious display of treats was not lost on me. There’s also the Cove Cafe in the adults-only area if you want some added peace and quiet. But I’ll get to that later. For full meals, there are three main dining restaurants, two adults-only restaurants, plus cabanas— which is an awesome buffet that’s open for all three meals of the day. 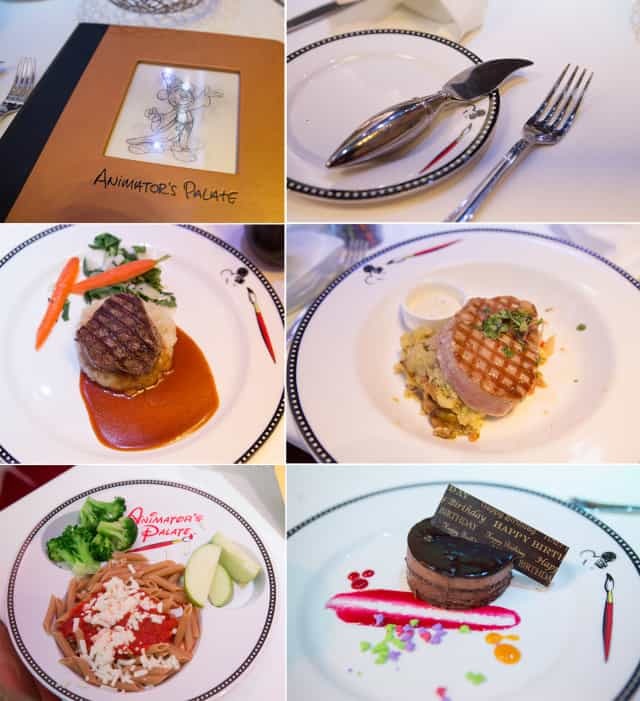 We went to Animator’s Palate our first night, and the first impression was pretty awesome. There are Disney illustrations everywhere, and TV screens all over the walls. Every little detail fits the theme, down to the paint brush butter knives. Shortly after we sat down, the whole room came alive. The lights changed, and we were met with our favorite Finding Nemo characters on the screens around us. Crush came on and started having interactive conversations with the guests! He even hummed, “Happy Birthday,” to my birthday girl while we and the staff sang! Our server was aware of any dietary needs beforehand, and had cups of water ready with our girls’ names on them and a booster for our youngest. 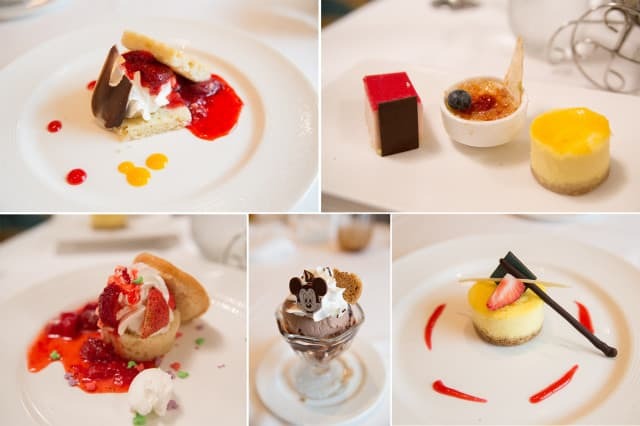 When it came to the food, there were options for every one – Disney will literally cater to any dietary request. Gluten free? Covered. Allergies? They’ll take care of it. My girls loved their pasta, and I loved the healthy options that came with it (on a Mickey plate). Oh, and you can order as many appetizers, main courses, or desserts as you want. The other main dining restaurant we got to experience was the Royal Palace. It definitely lives up to its name. We ended up having a lunch, dinner, and our farewell breakfast there. None of the meals disappointed. We tried meatloaf, pasta, duck, lamb, and an array of desserts. Everything was delicious and beautifully presented. I particularly loved the fried brie! I am bummed that we didn’t get a chance to check out the Enchanted Garden, but there’s always next time. We opted for a date night at Palo, and it was totally worth it! 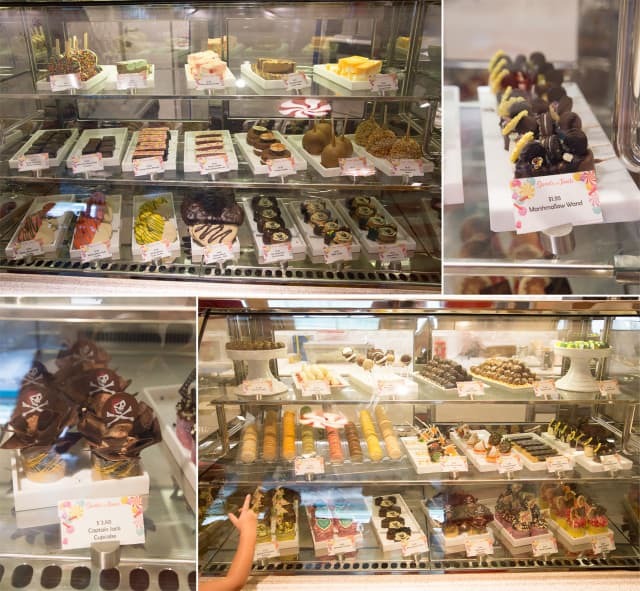 In case you didn’t get your fill of desserts from the restaurants, there are two ice cream stops on the ship. Eye Scream is a self-serve soft serve spot, and is included in your cruise! 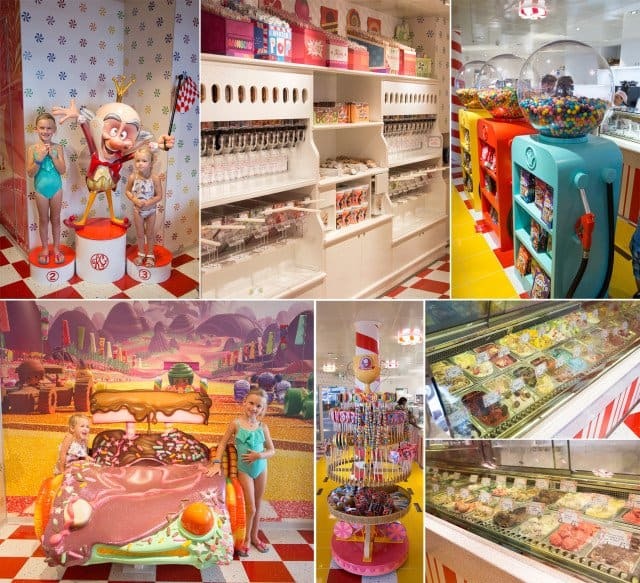 But Vanellope’s sweets and treats is something you simply don’t want to skip. We’re big Wreck it Ralph fans as it is, so we couldn’t wait to check it out! 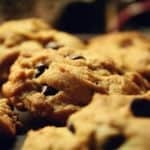 The cases of baked goods are mouthwatering. 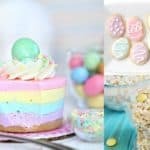 Cupcakes, cookies, marshmallows on a stick, macaroons… you name it, it’s there. Plus an entire wall of candy, and 40-ish flavor options of ice cream and gelato. I was, literally, a kid in a candy store. 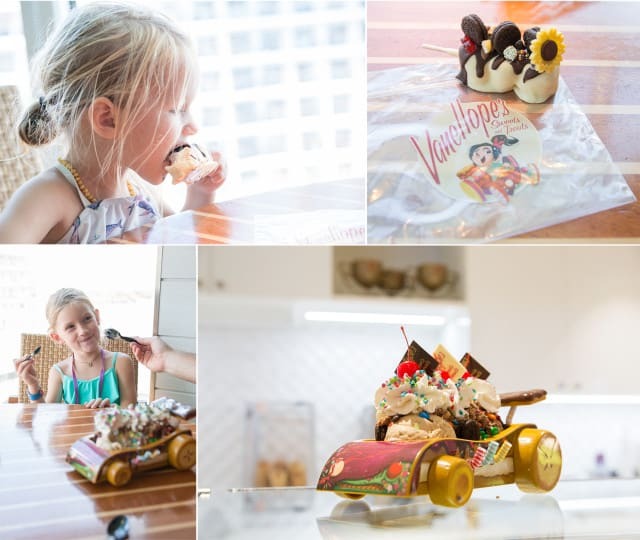 We opted for the Vanellope sundae so that we could get to keep her car. We got to pick three flavors of ice cream or gelato, plus five toppings (not including the whipped cream, cherries, and pretty chocolates). So good and not unreasonable. Score! 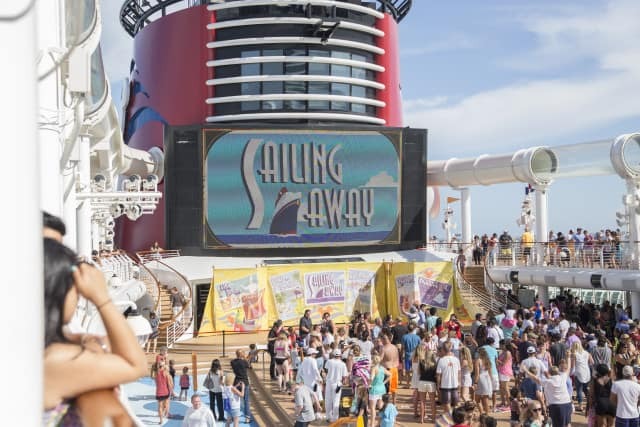 The fun on the Disney Dream began before we even left Port Canaveral, with the Sailing Away deck party. 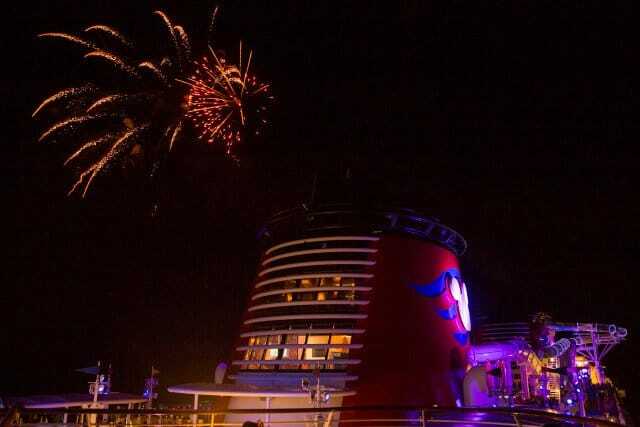 Mickey, Minnie, and friends gathered on the deck to welcome us aboard and to say, “bon voyage,” to the mainland. 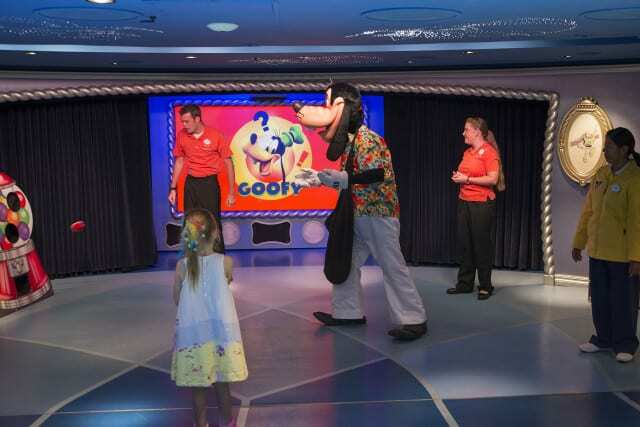 But, in true Disney fashion, the entertainment continued for the entire cruise. Disney movies play around the clock beside the pool, and first run movies hit the silver screen in the Buena Vista theater. What really impressed me, though, were the live shows. We missed “The Golden Mickeys” on the first night, too exhausted and full from dinner to stay awake any longer. On our second night, however, we made sure to make it to, “Villains,” and it did not disappoint. Hades (my husband’s favorite villain) took the spotlight in a hilarious adventure to fill up his evil-o-meter to keep the Underworld in his grasp. Another highlight of our second night was the pirate party. 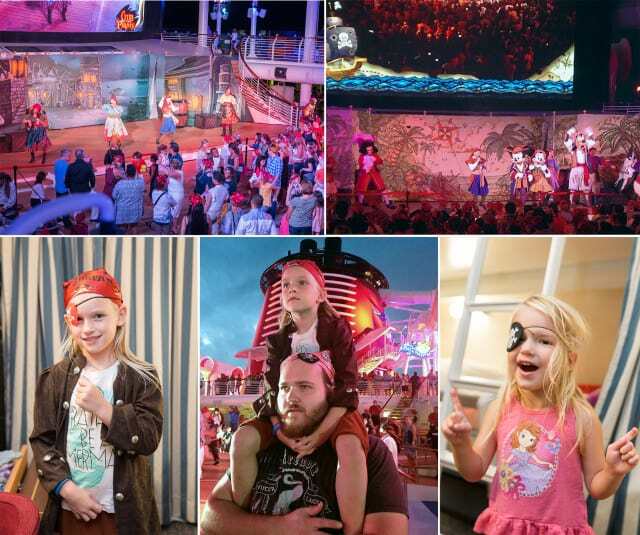 Mickey, Minnie, and friends again hosted everyone on deck. This time, it was to face off against Captain Hook! Later in the evening, fireworks lit up the sky. Then a DJ and a slew of pirates turned the deck into a giant dance party at sea! On our final night, we saw “Believe” in the Walt Disney Theater. The Genie takes it upon himself and enrolls some friends to try to make a scientist believe in magic. It’s his daughter’s only birthday wish, after all. And who could not believe in magic on a vacation like this!? 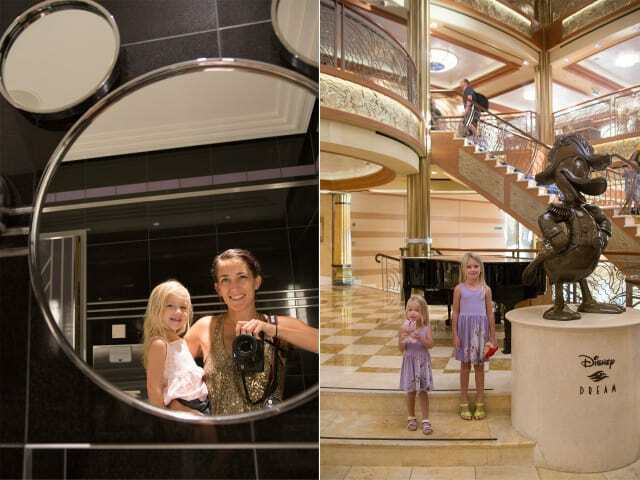 Magic is everywhere on a Disney Cruise, even without kids! Thanks to the Oceaneer Club (see below), my husband and I were able to escape for a couple of hours for a date night that only Disney could create. 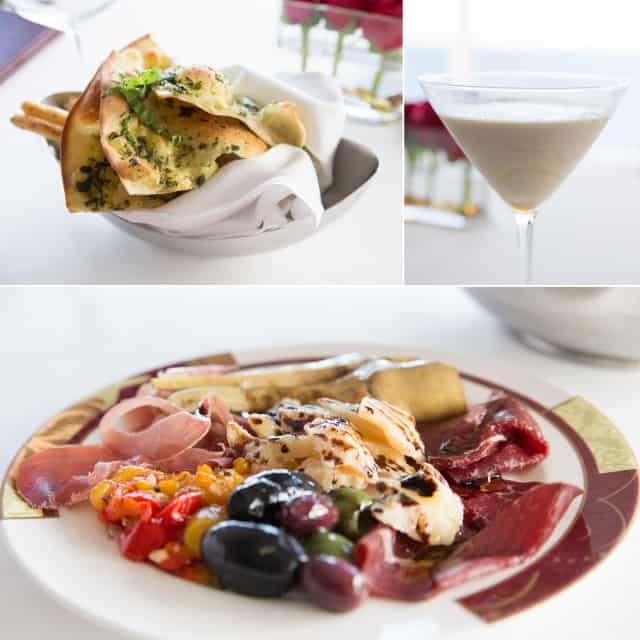 There are two adults-only restaurants on the Dream, with a lavish bar in between. Remy embodies an upscale restaurant in France, while Palo transports you to Italy. That is where we went to enjoy one of the most delicious dinners we’ve had in a long while. Dinner will run you $30/person, and it is worth every penny. Just make sure you go hungry. 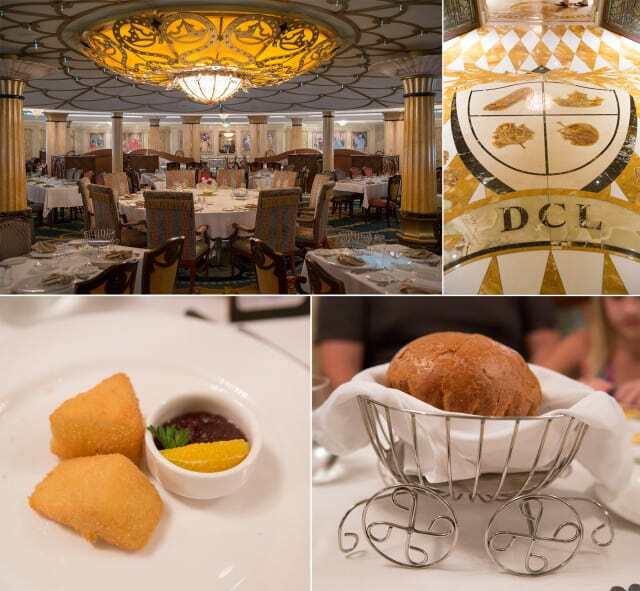 Our evening started with a basket of breadsticks and flatbread (and a creme brulee martini). Our amazing server then brought out a cart full of delicious meats and cheese and made our antipasti plate table side, completed with a drizzle of balsamic vinegar. And that was all before we even got to the appetizers. 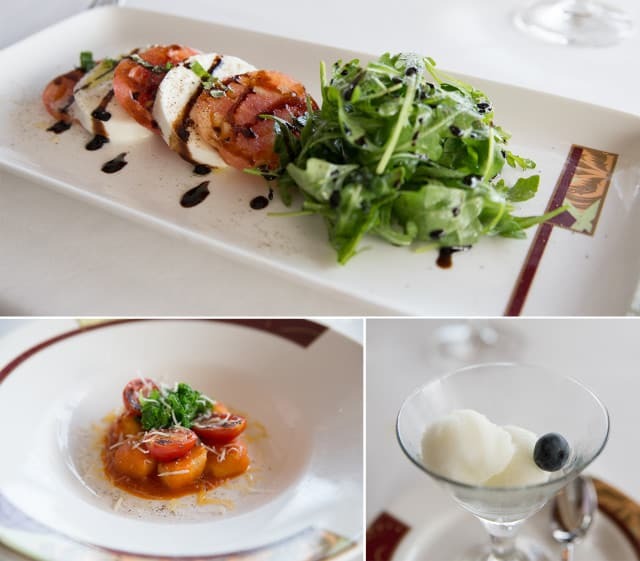 We took our server’s suggestions and went with the caprese and the gnocchi, two Italian traditions. We wanted to get the full experience, and every suggestion he had was on point. After the appetizers, a palate cleanser prepared us for our entrees. My husband went with our server’s advice again and ordered the osso buco, which was fantastic. He came home and actually started looking up recipes to try to recreate it. I, on the other hand, can’t turn down scallops. Ever. They were so delicious, ordering more was tempting. I’m glad I didn’t, because I had plenty of room for the dessert to come. Based on reviews we had read, we knew we had to order a souffle. We actually ended up getting two because we couldn’t decide between chocolate or amaretto! We also ordered an apple crostini, but our server insisted we try the panna cotta instead. I think it ended up being our favorite of the three. The panna cotta itself was creamy and delicious, but the strawberry basil gelato stole the show. It was the perfect complement. Bravo to the staff of Palo. You may wonder where our kids were while we enjoyed such a wonderful dinner. They were having a blast at the Oceaneer Club, of course. I already told you Disney thought of everything. Having a safe, fun place for kids to play was at the top of the list, even for the little guys. 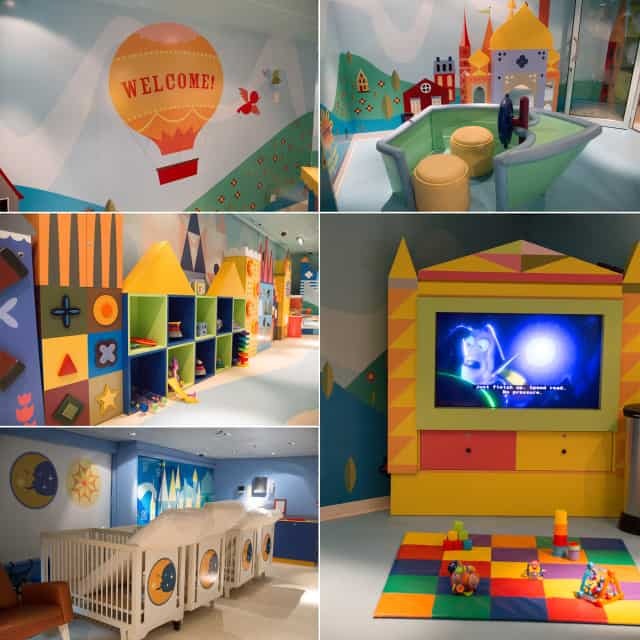 The nursery is for kids under three, and the staff is specifically trained for this space. There are two areas – a play space and a sleep space – and there are always at least two counselors in each room. There are plenty of age appropriate toys, but they also do painting and crafts, and even have visits from the Disney characters! The mattresses are cleaned after every use, and the bathrooms are even kid-sized! And if you’re needed for any reason while you’re gone, you’ll be notified on your wave phone, so you can relax worry free. For the bigger kids (3-12, and potty trained), the Oceaneer Club will provide countless hours of fun. There’s a full scale replica of Andy’s Room from Toy Story, which is where my three year old constantly went to play with Mr. Potato Head. Pixie Hollow provides an arts and crafts area, complete with glowing fairy homes, and is where my six year old gravitated every time. 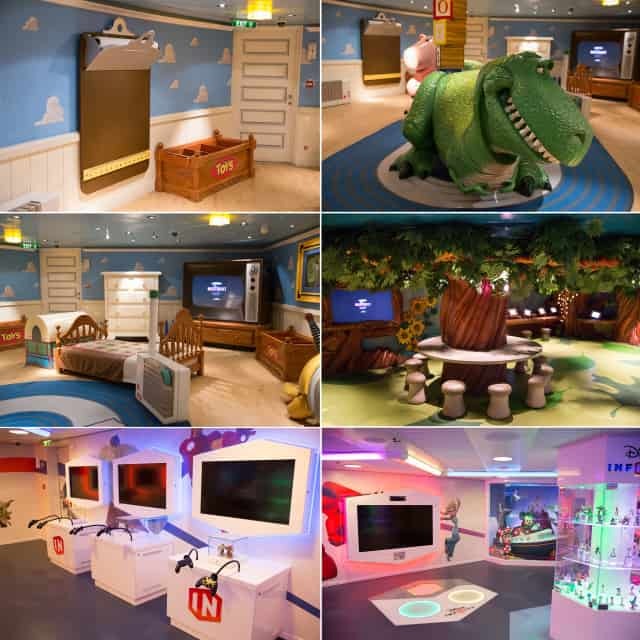 For the video game lovers, there’s an entire room dedicated to the Disney Infinity gaming system, where your kids can choose their character and go to town! 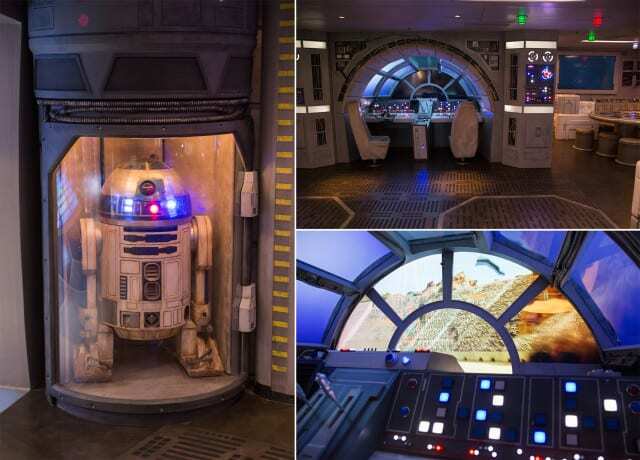 The Star Wars area is brand new to the Disney Dream (and currently only found there), complete with a Millenium Falcon simulator! 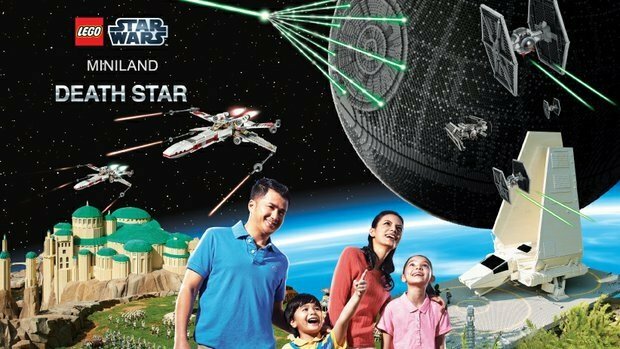 You may even find a storm trooper or two, or fall into the ranks in Jedi training! Personally, I loved the R2-D2. The main areas of the Oceaneer Club are just as awesome. There’s an interactive floor in the middle of the space, which is also where Disney characters come to play! 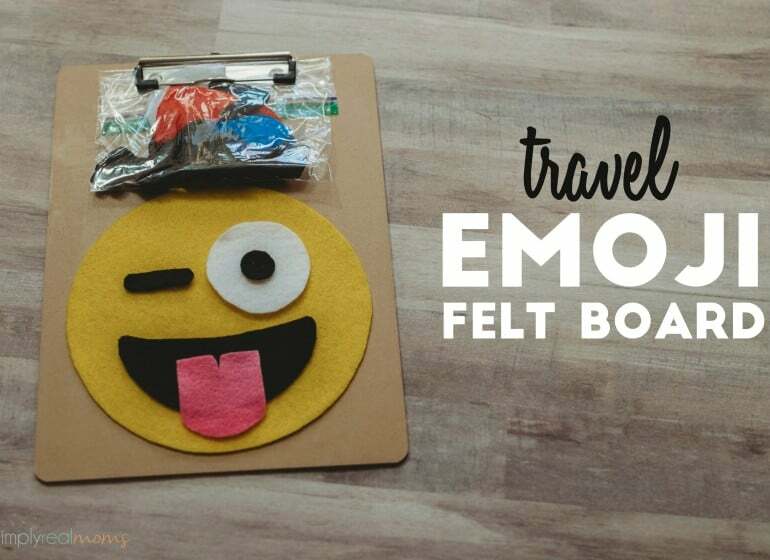 It’s the one place in all of Disney where kids can actually play with their favorites, whether it’s during Mickey’s puzzle playtime, Pluto’s pajama party, or the Little Einsteins adventure! Connected to the Oceaneer Club is a long workshop, where they serve lunch and dinner. That’s where you can also find scientists working on experiments, and even french chefs who come to bake cookies and cupcakes with the kids! On the other side of the workshop is the Oceaneer Lab. 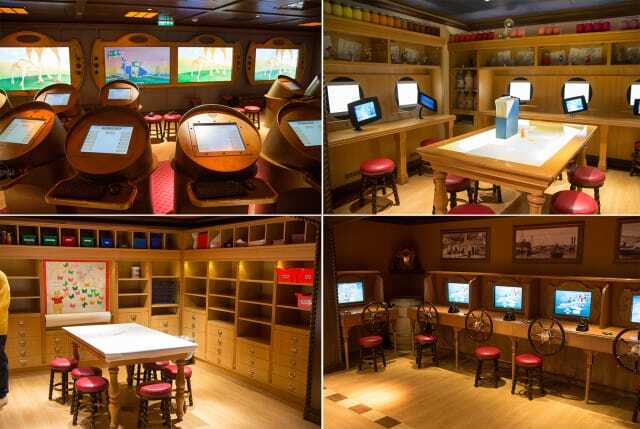 Here, you will find a computer lab set up where kids can have pirate battles against each other on the big screens! 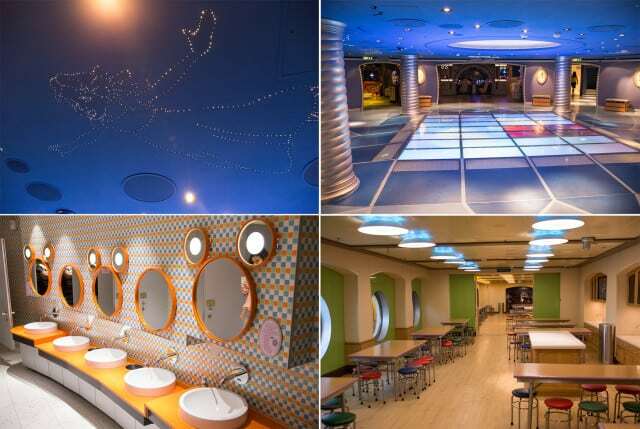 There’s also an animator studio, a drawing area, a port simulator where kids can “drive” the ship, and a media lounge. 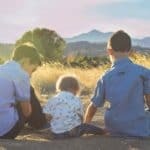 You don’t need to worry about safety or security while your kids play. 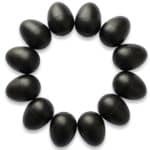 When littles get registered, wristbands are given that are electronically loaded with their medical information, allergies, and food preferences. It also has an RFID tracker so counselors know exactly where each child is, down to the room within the club. This also makes them much easier to find at pick up. At pickup, each kid’s wristband has to match the key card of the adult. You also have to know your password. There’s even a strict hand washing policy to keep germs at bay, so you know your kids are completely safe! Our kids kept asking when they could go back! I’m pretty sure you’ve gotten the hint by now that there’s a ton to do on a Disney cruise! In case you haven’t, then you should also know that there are two pools. One is about five and a half feet deep, with a sunbathing edge. 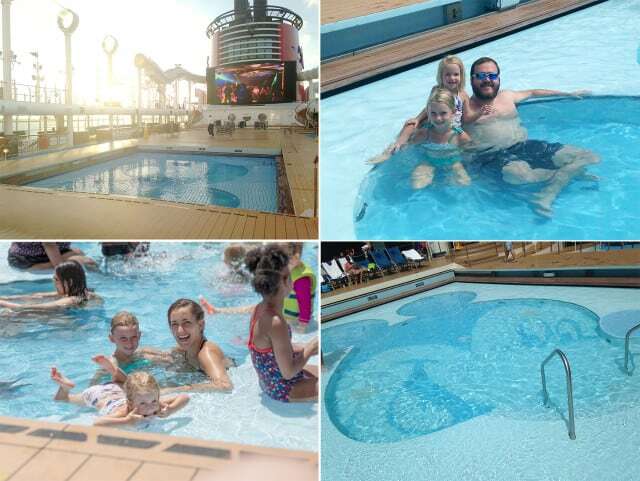 Having small kids, we didn’t use that one as much (even though life vests are available), because we were too busy playing in the Mickey pool! I seriously loved the size of this pool. Well the depth anyway – I wouldn’t complain if it was a little bigger. My three year old could easily walk around and play, and the grown ups could sit and relax right there with the kids! This one has a sunbathing edge too, but who needs it when you can sit right in the pool?! Next to the pools, you’ll find Nemo’s Reef. It is an indoor splash pad with plenty of slides, squirters, and kid-sized fun to entertain the kiddos for hours! There’s also a water slide (held up by Mickey’s hand, of course), and that big clear tube? That’s the Aqua Duck. 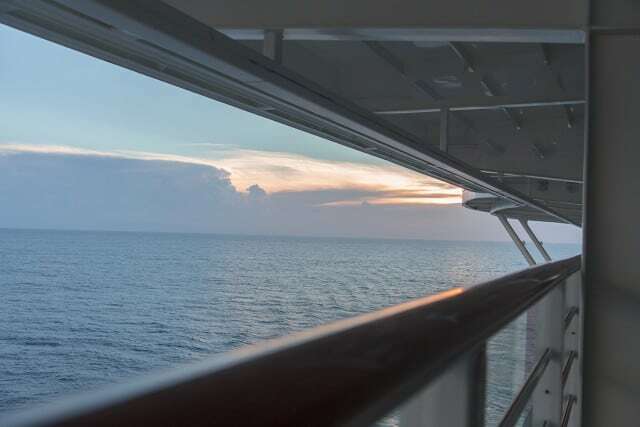 You’ll find the wait times to be a bit lengthy, but if you endure, you’ll get to ride an inner tube all around the ship and catch some amazing views! 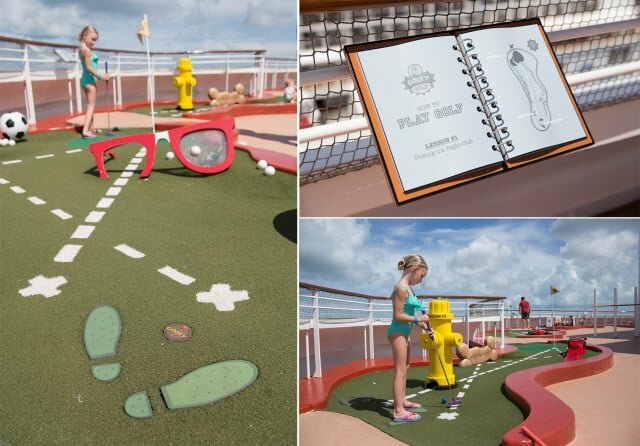 If you’re not feeling up for water fun, the Disney Dream also has a nine hole miniature golf course! I loved that it had grown up (Goofy) and kid (Max) places to stand, and showed the path to hit the ball for a hole-in-one! 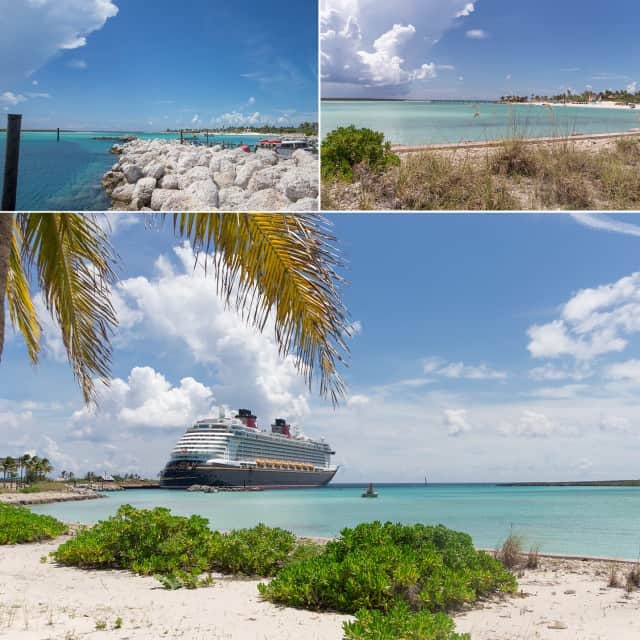 If you’re taking a Disney cruise in the Caribbean, you’ll get to spend at least one day in Castaway Cay. I urge you to step away from the fun on the ship, and take advantage of this wonderful place! It is Disney’s very own private island, and I promise one day will not be enough! Mickey Mouse was waiting for a photo op right when we got on the island! From there, we went to the family beach, passing by a restaurant, a bar, and several shops along the way! We got some inner tubes and snorkel gear so that we could experience as much as we could. If you have small children, I recommend getting the foam mats instead of the tubes. 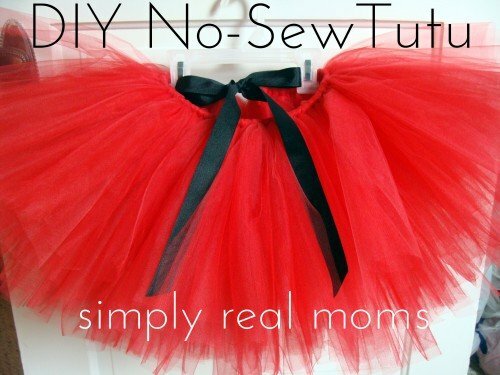 So much easier for them to stay on. We had a couple of tubes taken from our spot while we were snorkeling, but the staff let us get new ones no questions asked. The snorkeling left me a little underwhelmed. That being said, I got my SCUBA certification in Hawaii, so the bar was set pretty high for me from a young age. Also, we didn’t go all the way out, so it’s highly possible we missed stuff. We mostly saw sand, sea grass, and a few fish. It was, however, very relaxing to just float around in the inflatable vest with my face in the water. My absolute favorite part was that everything is roped off, so you don’t have to worry about the dangerous stuff that lurks in the ocean! After a bit more swimming, we made our way to Cookie’s for a cookout! They had chicken, burgers, ribs, etc. plus a giant fresh fruit stand! At this point, I was itching to check out the adults-only beach, Serenity Bay. We took the kids to Scuttle’s Cove, where we checked them in the same way as on the ship. It’s not connected to the actual beach at all, so kids getting too close to the ocean is not a concern. There’s a playground and a splash pad, but my kids really loved the giant sand pit with a hose, and the giant puddle it made. Who knew!? 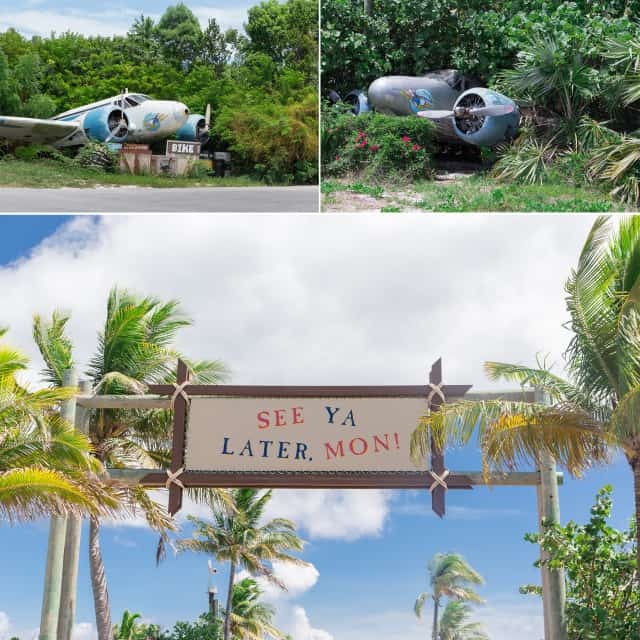 You have to hop on two trams to get to Serenity Bay, but they’re pretty short, and one goes all along an old airstrip from the 30’s. 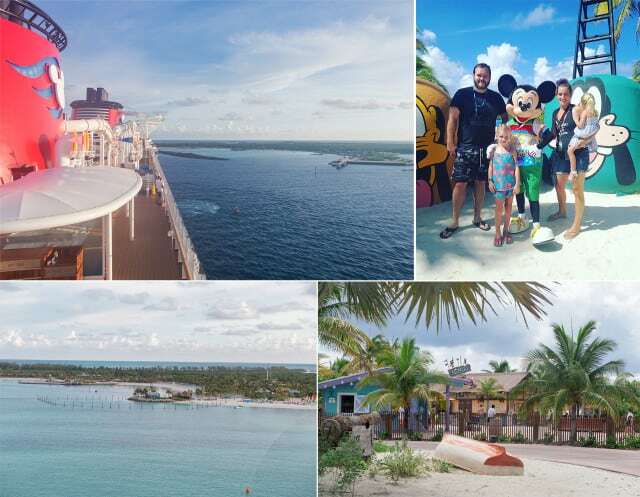 Fun fact: Castaway Cay is in scenes from “Splash,” and “Pirates of the Caribbean: The Curse of the Black Pearl.” Another fun fact: Serenity Bay is the most secluded adults-only area in all of Disney. 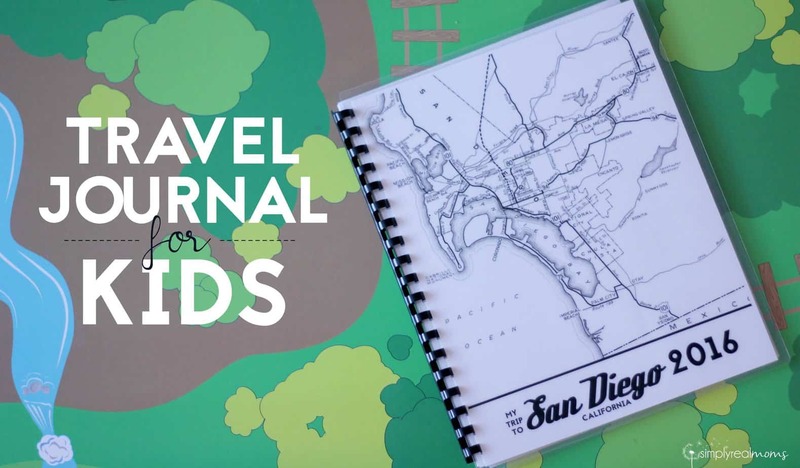 If you’re feeling adventurous, you can rent a bike and go on an adventure. If you’re like me and you just want 30 minutes to enjoy the most peaceful place you’ve ever been, with the bluest water you’ve ever seen, there are hammocks for that. Or lounge chairs. Or bar stools. Take your pick. Have a drink. Go for a swim with the knowledge that your kids are safe (your wave phone works here, too). 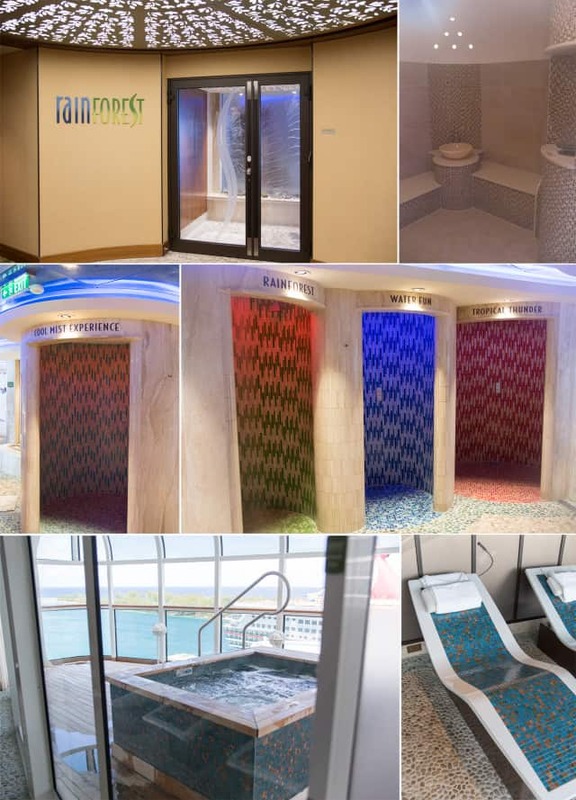 If you want to continue your adults-only relaxation on the ship, there are plenty of opportunities to do so. There’s an entire area reserved for grown-ups only on the front of the ship. There are several pools and fountains, two bars, a cafe, and a spa. Go get a massage or a facial, and while you’re there, check out the Rainforest room. It is truly a unique experience. 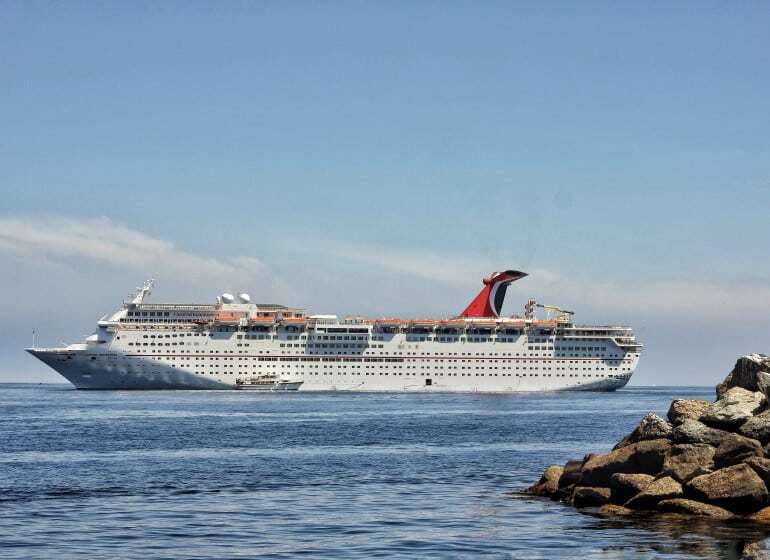 It’s not included in your cruise, but an unlimited pass for two runs about $100, depending on cruise length. The Rainforest room has three different saunas – the Laconium, the Caldarium, and the Hammam – and they’re all delightful. So is the body scrub. They give it to you in a little jar so that you can scrub it on in one of the saunas. Then you rinse off in one (or all) of the four different showers. Each one has different lights, temperatures, and water pressures to imitate various experiences, from warm rain to a Siberian storm. After you’ve hit the showers, you can curl up in your robe on a heated tile lounger. A tile chair may not sound incredibly comfortable, but let me tell you – it was the first time on the ship that I just wanted to sit down and not do anything else. 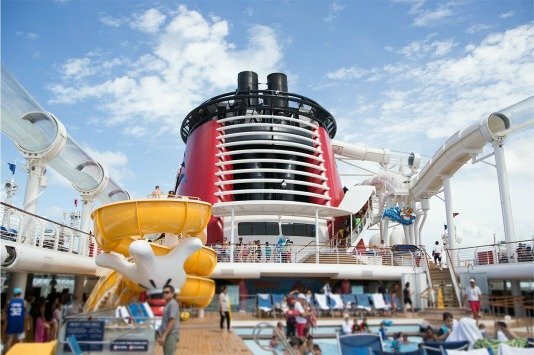 If sitting down and not doing anything is your idea of an amazing vacation, then a Disney cruise will have you covered. I still can’t get over how incredible the service was the entire time. Our cruise had a team of 1,500 staff, made up of 63 nationalities, and each one was always smiling. It truly felt like everyone loved their job, and they were ready to help with anything at any time. 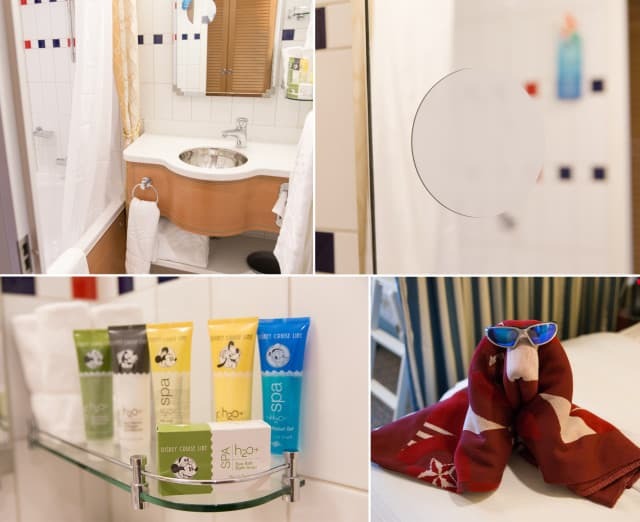 Every time we went back to our room, we found a new surprise – a snack, a towel animal, princess bed sheets. Our host was fantastic at his job. Our servers were pretty incredible, too. We had a designated team for dinners in the main dining restaurants. They knew us by name before we even sat down the first night, and made sure we never waited for anything after that. 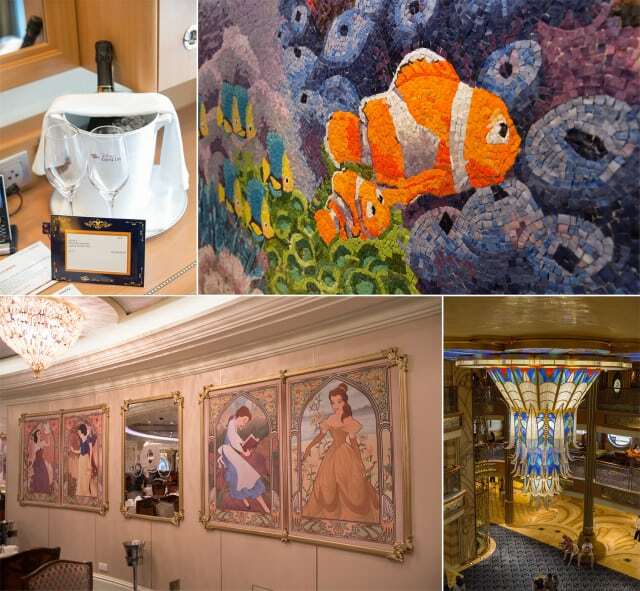 But what’s really amazing to me is behind the scenes – everything on the ship is constantly in immaculate condition. Maybe if I had that many staff members (1 for every 2.67 guests, to be exact), my house could be too! From the service, to the characters, to the parties (and beyond! ), the underlying theme that made this such an amazing vacation is the magic. Nobody does magic better than Disney. Everywhere you look, you can find a hidden Mickey – or the real one! It’s all about the experience, and when you’re surrounded by such an incredible staff on such an incredible ship, with people that you love, then there’s no question that you will have a magical time. WOW! 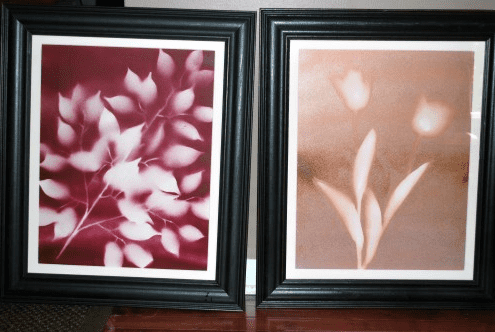 Beautiful pictures and wonderful story. Thank you for sharing your experience, Angela!